We just learned about the Predjama Castle. Another famous castle is the Catherine Palace built in 1717 in Tsarskoye Selo, Russia. This was a palace where the Tsars of Russia lived in the summer time. The palace is so fancy, with 100 kilograms of gold used on the outside of the building. 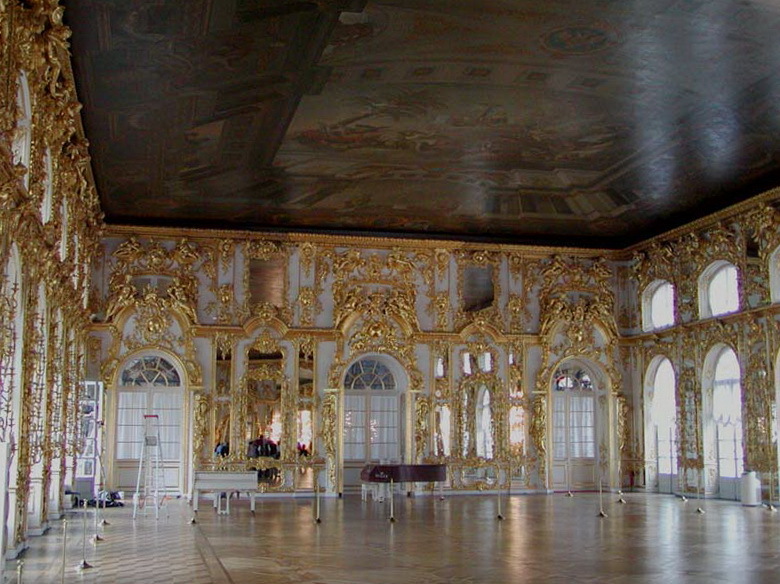 There is a room called the Amber Room with gold leaf and amber decorations all over it. Another room is called the Great Hall, which is over 1,000 square meters, and there are 15 chandeliers with almost 700 lights on them on the ceiling.